Xiaomi has been reportedly sued for failing to keep to her words on promises of reward made to fans during a contest in August 2017. 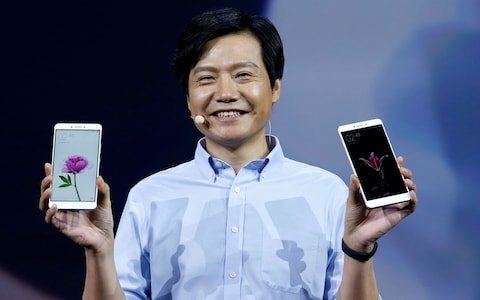 According to Mr. Yang, the plaintiff, who posit that the content displayed by Xiaomi on it official online store, to reward any Mi Fan with ‘dinner with the company president; Lei Jun’, for either the sale of over 300 units of Xiaomi Mi 5X, sale of over 300 units of Redmi Note 5A or the sale of over 400 units of Mi 5X and Redmi Note 5A combined, was unilaterally promised and legally binding on the company, demanding that the company should keep to, and strickly offer what was promised. Mr. Yang alleges that Xiaomi had publicly announced a contest in August 2017 for the sales of Xiaomi smartphone, where the reward was a dinner with the company’s co-founder and CEO Lei Jun. There were three options and the participated had to fulfil any one, which includes sale of over 300 units of Xiaomi Mi 5X, sale of over 300 units of Redmi Note 5A or the sale of over 400 units of Mi 5X and Redmi Note 5A combined. On his position, Mr. Yang claims that he actively participated in the contest and fulfilled the criteria by selling 523 units of Redmi Note 5A phone during the contest period. He further claims that when he contacted the company for the reward, Xiaomi explicitly refused, even after repeated negotiations. He adds that Xiaomi’s refusal to follow on its promise not only hurt his feelings as a “Mi Fan” but also constitutes a breach of contract. Further, he adds that he should be compensated for the losses caused, including a total of 24,000 yuan (approximately $3,491) in notary fees and legal fees. ​​The plaintiff, Mr. Yang believes this is a breach of contract and has sued Xiaomi for compensation. Currently, the case is under hearing in the Haidian court in Beijing, China.